for later playback, Voice Recorder will allow you to record your meetings, lectures, and other events with codec noise reduction technology. You can record anything within 10-100 meters around you. Edit the recording as per your need and save it for later playback. Voice Recorder has multiple playback options helping you decide how you want to hear your recording. Developed specially for Apple, it plays just as excellent with Apple EarPods as it plays with our old earphones. 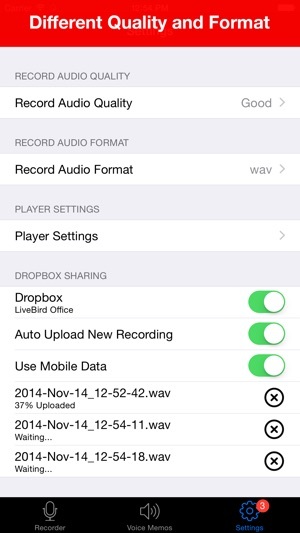 You can auto upload and even share the recording on cloud (Dropbox) in seconds. 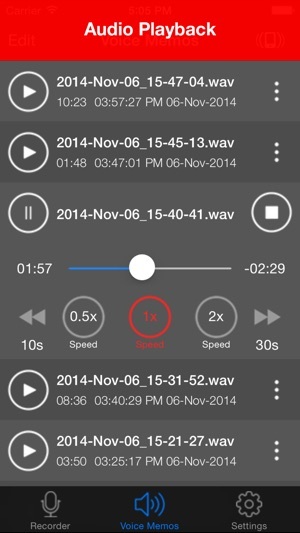 Voice Recorder is an easy to use and handy app to record the meeting, lecture, music and many more. The interface is designed to make it quick. 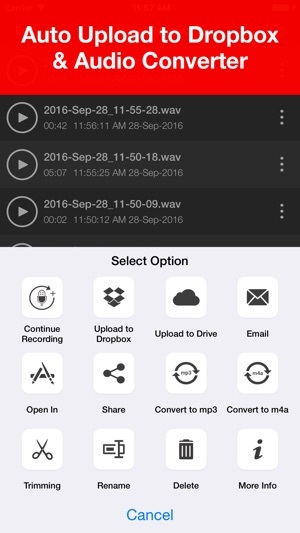 With single tap you can record and share the recordings. Enjoy sound, record, edit, play and listen! - Continue recording into existing recordings. 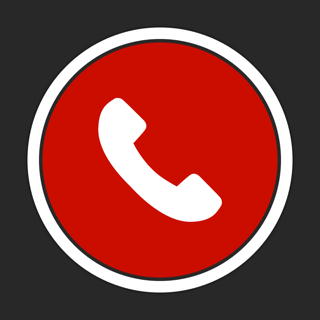 - Call Interruption handling - Recording will continue after a call or other interruption. 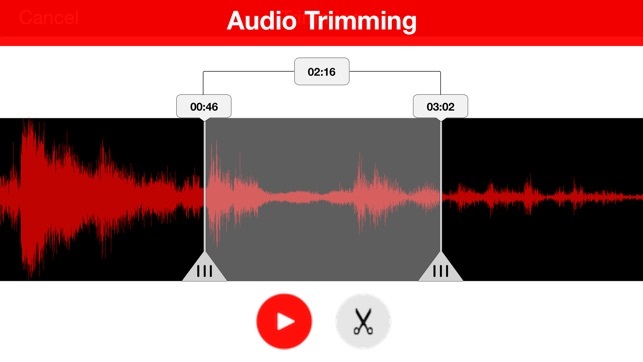 - Select a part of recording and trim it. 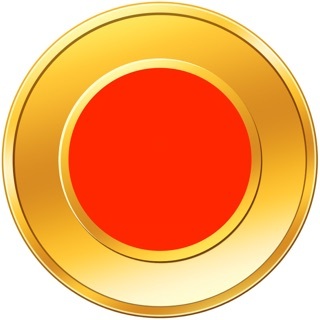 - Airdrop sharing with iOS and Mac devices. - Support for both iPhone and iPad devices. - iPhone 7 an iPhone 7 Plus optimised design. I had a school performance and my family wanted to hear me sing my solo so I recorded the whole performance I was very disappointed when I play the recording to hear that it had jump a few times and when it got to my solo you could only hear like 10 second of it. I was very sad/disappointed and so was my family, I will never get to do that performance again and all the footage is messed up. I did like the app but then played all my recordings(just in case the same thing happened)to find that the same thing happened to them, good/fun moments where in them recording and are now gone. I’m very disappointed not in the app but what happed to my footage. I’m going to give the app a bad rating not for the app it’s self, but for what happened with the recordings. 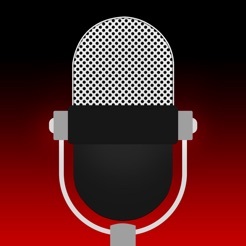 No gimmicks or tacky, unnecessary add-ons - just a simple to use Voice recorder / note taker. It’s handy I find, if during the day, I get an idea for a song - I write music in my spare time - rather than opening up a dedicated audio app and select an instrument then manually enter the notes or lyrics, I just open this, hit record and sing or hum, or tap the beat - then later on, I can open it back up and listen to the idea I had. 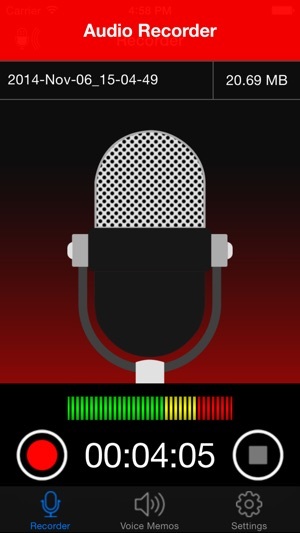 Sure there are plenty others on the market (I use iEars a lot) but this apps UI along with its ease of use and high quality recordings mean this is definitely one of the better offerings. And it doesn’t cost a penny.